What a busy week we have had! This week has been our Olympic Week, unfortunately, our Sports Day had to be cancelled on Monday because the field was wet (fingers crossed it will happen this Monday! ), but we have spent the rest of the week learning about the Olympics. 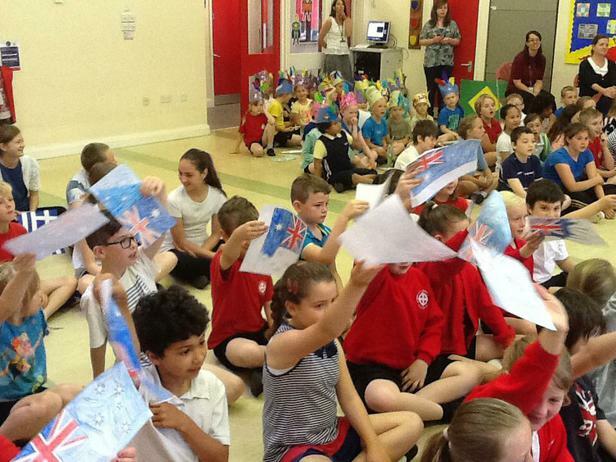 We created Olympic inspired art and learnt a dance for our country, Australia. Hopefully, the children have been telling you all about it. Our new topic this term is, Road to Rio, we will be learning about the country of Brazil and the people that live there. We are planning to have a Rio carnival day later this term. The children brought home a letter that details this term's planning, last week. There is also a copy in the folder at the bottom of this page. Pulman class will continue to have their PE lesson with Mr Serle on a Monday afternoon and with Mrs Gage on a Friday morning. Can I please remind you to keep your child's PE kit in school to ensure that it is always available when they need it. Spellings - we are learning how to spell words that have the sound 's' in them that is spelt 'sc'. Topic - the children have a design an Olympic medal task for homework this week. There are copies of both of these homeworks in the folder below. 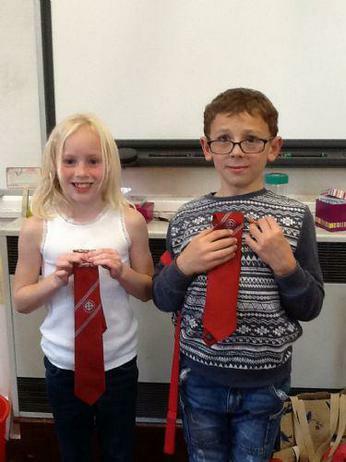 Congratulations to Aidan and Evelyn who were voted by the class as our class councillors. They received their smart new ties and badges in assembly today. Also, congratulations to Jamie-Leigh who received the Head teacher's certificate in this week's assembly. Well done, keep up the good work! Computer Typing A fun way to learn to type quickly. Programming Website A free website that we will be using during our computing lessons that will help the children learn how to program.